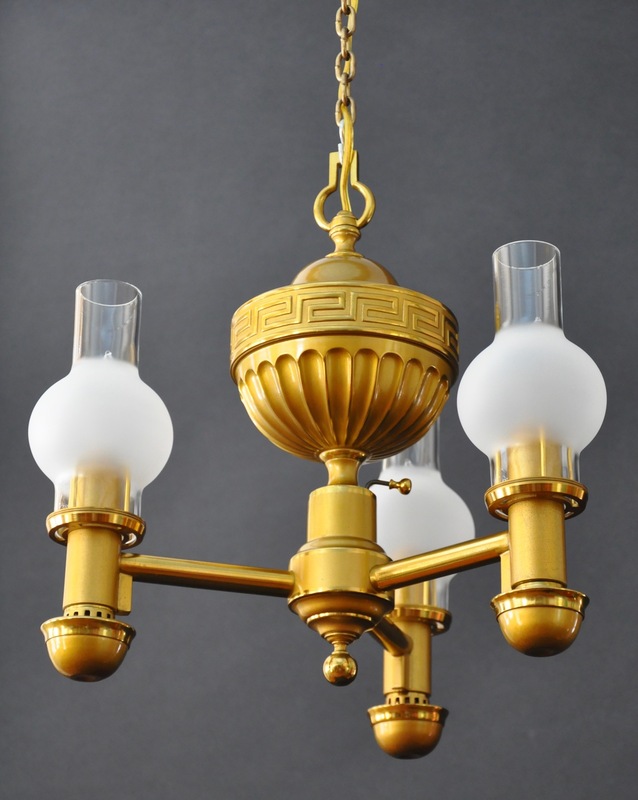 This handsome argand pendant might have been originally suspended inside a large Regency lantern. It could be lowered and raised with a functioning counterweight. The piece is finished in a beautiful two-tone gilt-lacquered finish. The large font is fluted and is wrapped with a Greek key band.